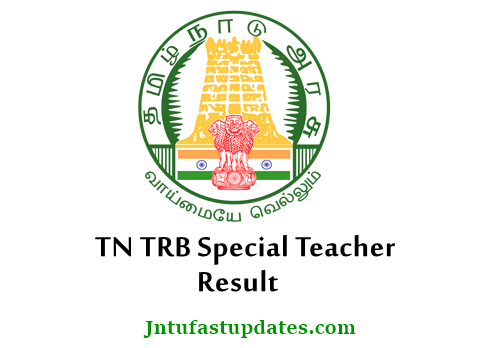 TN TRB Special Teacher Results 2018 : Tamil Nadu TTB Special Teacher Results 2017-2018 Released on trb.tn.nic.in websites. candidates can Check TN TRB Teacher Results Release Date, Expected Cutoff Marks, Merit List, Score Cards for Physical Education Teacher, Drawing Teacher, Musical Teacher, Sewing Teacher Exam Results along with Certificates verification dates to be announced below. Tamil Nadu Teacher Recruitment Board has completed conducting the special teacher examination on 23rd September. Many of the candidates have appeared for the TRB special teacher examination aiming to qualify the test and to get the job. Hence these are the state government teacher jobs, a large number of candidates have competed for the TRB examination in Tamil Nadu state. The board has organized the examination in many places across the state. Almost all the applicants have taken this test in the month of September. The TRB has released the answer key for the special teacher examination within 4 days of the examination. All the candidates have tallied their answers with the answer key and come to an estimation of the score. All the competitors are eagerly waiting for the result. As per the latest update from the organization, the Tamil Nadu TRB special teacher result is likely to release soon on its official website, trb.tn.nic.in. Candidates who have appeared for the examination can check the result from the above website. Along with result, the TRB cutoff marks, merit list will also be announced. Candidates can check more things from the following article. TN TRB Special Teacher Result 2018 Online : Tamil Nadu state is having 83% of literacy rates. The TN TRB is stressing over the development of education in the state. Every year TN TRB releases various recruitment notifications to hire the aspirants for various posts in the education field. Tamil Nadu Teacher Recruitment Board (TN TRB) has recently released the recruitment notification for 1325 Special Teacher vacancies. Candidates seeking to become teachers in various departments have applied for the Special Teacher posts. Teacher Recruitment Board has announced Special Teachers (Sewing)- 249, Special Teachers (Drawing)- 327 posts, Special Teachers (Physical Education)- 663, and Special Teachers (Music)- 86. Thousands of aspirants have applied for the special teacher posts this year. The candidates applied for the Special Teacher vacancies have attempted the screening test on 23rd September, Saturday. The Examination was held at various examination centers across the state. Name of the board Teacher Recruitment Board, Tamil Nadu. Recruitment Direct recruitment for the Special Teachers. Name of the department School Education Department. Name of the posts Drawing Teacher, Sewing Teacher, Music Teacher, PET Posts. Exam date 23d September 2017. Selection procedure Written exam, Document Verification. All the candidates appeared for the special teacher screening test on 23rd September can download the TRB Special Teacher result shortly. As per the information we got from various sources, the TRB Special teacher results will be announced in this month, March. The result can be expected to release by March 3rd week (tentatively). Hence candidates can stay checking the official website, trb.tn.nic.in to know the latest updates. The TRB will also announce the cutoff marks along with the result. Candidates scoring the qualifying marks/cutoff marks will be declared as qualified in the test. Candidates clearing the examination round will be sent for the next round, interview round. Aspirants have to clear the interview round to get selected for the announced posts. So, the aspirants who have competed for the test can check the TN TRB Special Teacher result, cutoff marks, and merit list at a time. Keep checking the official website, trb.tn.nic.in for time to time updates. Actually the protests has been occurred infront of board office due to delay in releasing of results. Nearly 4 Months had completed from the completion of written exam but not yet released. On the homepage, ‘Special Teacher Result’ Link is going to appear when the board releases the answer key. Click on the Link and specify required details. Press the Enter Button after furnishing the details. That’s it! The TN TRB Special Teacher Result, score will be displayed. Check the result and take a printout if needed for further reference. Candidates Can Comment Below if you have any doubts Regarding result. We will Answer your queries. உடற்கல்வி ஆசிரியர் காலிப் பணியிடங்களை நிரப்ப பள்ளிக்கல்வித் துறை முடிவு. மாணவர்களின் விளையாட்டு ஆர்வத்தை ஊக்குவிக்க பள்ளிகளில் உடற்கல்வி பாடவேளை களை கட்டாயமாக்க பள்ளிகல்வித் துறை முடிவு செய்துள்ளது. தமிழகத்தில் 44 ஆயிரத்துக்கும் அதிகமான அரசு மற்றும் அரசு உதவிபெறும் பள்ளிகள் இயங்கி வருகின்றன. இதில் 1.2 கோடி மாணவ, மாணவியர் படித்து வருகின்றனர். பள்ளிக்கல்வித் துறையில் புதியபாடத்திட்டம் மற்றும் தேர்வு முறை என பல்வேறு மாற்றங்கள் செய்யப்பட்டு வருகின்றன.இதற்கு பரவலாக வரவேற்புகள் அதிகரித்துள்ள நிலையில்,அனைத்து வகையான பள்ளிகளிலும் உடற்கல்விக்கான முக்கியத்துவம் குறைக்கப்படுகிறது. உடற்கல்வி பாடவேளைகளில் பிற வகுப்புகளை நடத்துவதால் மாணவர்களின் விளையாட்டு ஆர்வம் இருட்டடிப்பு செய்யப்படுகிறது.இதனால் விளையாட்டில் திறமைகளை வளர்த்துக்கொள்ள முடியாமல் மாணவர்கள் தவிப்பதாக விளையாட்டு ஆர்வலர்கள் தொடர்ந்து குற்றம்சாட்டுகின்றனர். இந்நிலையில் பள்ளிகளில் உடற்கல்வி பாடவேளைகளில் பிற பாடங்கள் கற்பிப்பதை தவிர்த்து, மாணவர்கள் கட்டாயம் விளையாடுவதைஉறுதி செய்ய வேண்டும்.வரும் கல்வி ஆண்டு முதல் இந்த நடைமுறையை அனைத்து பள்ளிகளிலும் தலைமை ஆசிரியர்கள் தீவிரமாக கடைபிடிக்க வேண்டும் என முதன்மை கல்வி அதிகாரிகள் வழியாக பள்ளிகல்வித் துறைஅறிவுறுத்தல் வழங்கியுள்ளது. இதுதவிர மாணவர்களுக்கு தேவையான விளையாட்டு பொருட்கள் பள்ளிகளுக்கு வழங்கப்பட்டு வருகின்றன. மேலும், உடற்கல்வி ஆசிரியர் காலிப் பணியிடங்களை நிரப்பவும், பள்ளிகளுக்கு விளையாட்டு மைதான வசதிகளை ஏற்படுத்தி தரவும் தமிழக அரசு திட்டமிட்டுள்ளதாக துறை அதிகாரிகள் தெரிவித்தனர். பணி நியமனம் எப்போது கிடைக்கும் சார். May 2019 month confirm oppiontmment order.i think. Don't scared about anything madam.everyday u should go to Sivan temple or sai baba temple and pray . GOD WILL BLESSING US. Next hearing 12 april .god only help us.